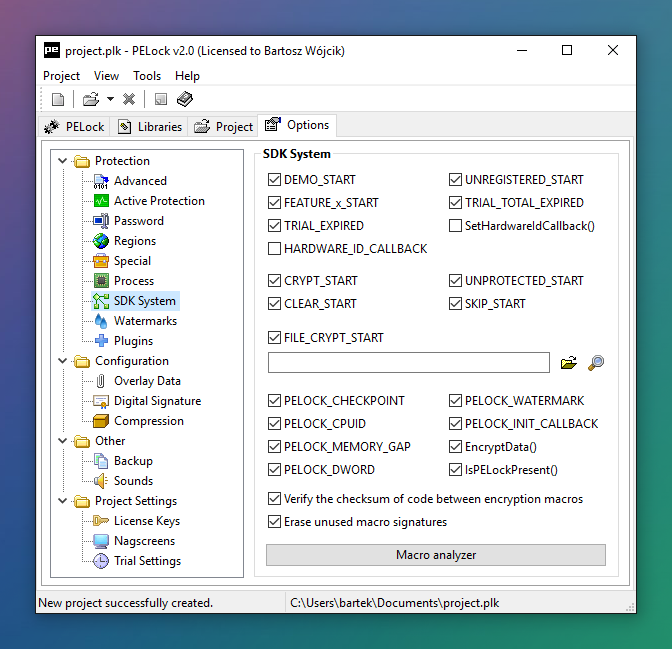 PELock is a software security solution designed for protection of any 32 bit Windows application against cracking, modifications and reverse engineering analysis. PELock comes with a built-in licensing system, you can use it to easily add license key system for your application. You can also set various time-trial limitations for the protected application, e.g. 30 days trial. 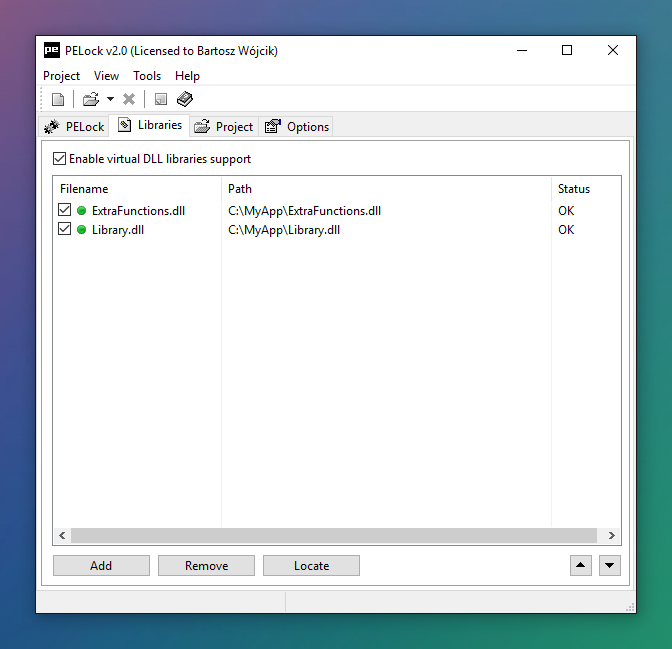 PELock has a built-in binder for additional application DLL libraries, it’s possible to merge your main application EXE file with any number of extra DLL libraries into single output EXE file. 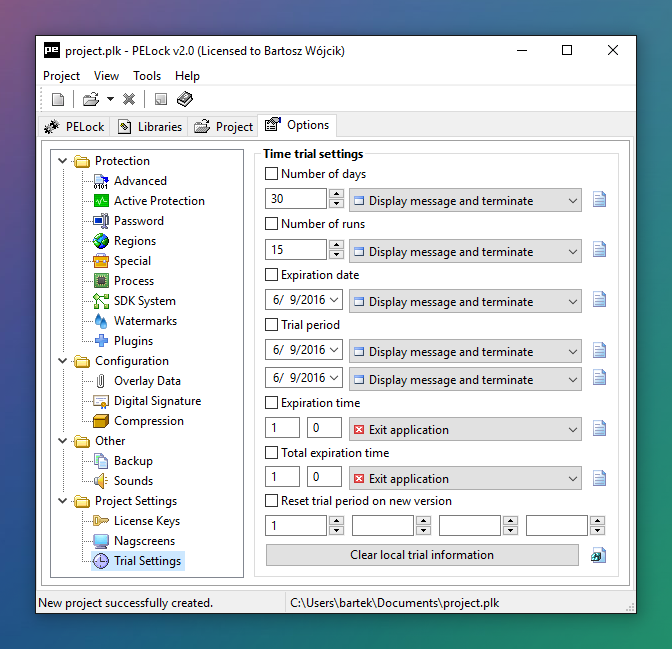 If your application uses or requires an additional DLL libraries you can hide them inside the protected application, no third party will be able to view it, nor any other program will have access to it, because the whole loading process is emulated in the memory and nothing is written to disk, and it’s completely transparent to the application working.